The Qigong Institute Commentary on “Mind-Body and Relaxation Research Focus” collection by Nova Science Publishers, Inc. (www.novapublishers.com) discusses the fundamental problems with the current western medical model and suggests initiatives for researching and promoting Qigong as a primary health modality. In the late 1970s, the US government conducted a similar evaluation and found a strikingly similar result. They found that only 10 percent to 20 percent of medical treatment had evidence of efficacy ('Assessing the Efficacy and Safety of Medical Technologies' - Office of Technology Assessment, 1978). How Scientific Is Modern Medicine Really? In other words, at least 50% of current western medical practice has no evidence base. Most Practice Guideline Recommendations Based on Less-Than-Ideal Quality of Evidence. A study published in the January issue of Mayo Clinic Proceedings shows that most clinical practice guidelines for interventional procedures (e.g., bronchoscopy, angioplasty) are based on lower-quality medical evidence and fail to disclose authors’ conflicts of interest. The selective reporting of Randomized Controlled Trials results in a biased "evidence base" for modern western medicine. The best evidence shows that half of all the clinical trials ever conducted and completed on the treatments in use today have never been published in academic journals. Trials with positive or flattering results, unsurprisingly, are about twice as likely to be published — and this is true for both academic research and industry studies. Breaking the Seal on Drug Research. Researchers are pushing Big Pharma to disclose all clinical results -- and not just those that make it look good. United States health care costs stem from an over-dependence on high-tech allopathic medicine and pharmaceuticals that treat symptoms; the bureaucracy and paper work of dealing with numerous insurance companies; the threat of malpractice lawsuits; and greed. The current US health care system is set up to make profits for investors rather than to heal… [we] must accept responsibility for our health by making health-promoting choices daily and seeking true preventative care that assists the body's innate healing ability. Therapies other than drugs and surgery need to be available through Medicare and insurance plans… The current system in the US depends upon sickness and high-tech solutions in order to make a profit. Our very economy is dependent upon the health care industry as it now stands. A November 2006 article in BusinessWeekOnline says that '…health care has become the main American job program for the 21st century, replacing, at least for the moment, all the other industries that are vanishing from the landscape.' " Robert J. Zieve, MD in The Townsend Letter (www.townsendletter.com) - February/March 2007. In his book Beyond the Medical Meltdown , Zieve discusses the factors contributing to the high cost of US health care. Demand Better! Revive Our Broken Healthcare System . The authors describe myths about the health-care system that conceal the real problems and emphasize the failure to promote preventive care: "[the] reimbursement system often penalizes appropriate care by underpaying for essential preventive care services. Providers get paid much more for treating more serious and expensive medical problems than they do for effective preventive medicine." They also confirm the lack of evidence to support many standard medical practices and prescriptions. Escape Fire: The Fight to Rescue American Healthcare - YouTube Trailer (4:01). This documentary tackles one of the most pressing issues of our time: what can be done to save our broken healthcare system? The film examines the powerful forces trying to maintain the status quo in a medical industry designed for quick fixes rather than prevention, for profit-driven care rather than patient-driven care. After decades of resistance, a movement to bring innovative high-touch, low-cost methods of prevention and healing into our high-tech, costly system is finally gaining ground. Escape Fire shows how our healthcare system is wasting trillions of dollars by over using drug and surgical solutions, while profoundly under using mind-body wholistic health options. The attack on non-allopathic, energy-based forms of medicine by the American Medical Assocation, mainstream Western medicine, the pharmaceutical industry, and others started with the Flexner Report in 1910. 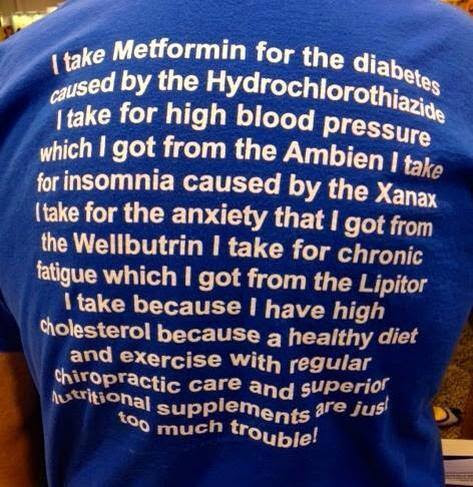 Why is modern medicine so drug intensive? What is the history behind this development? Watch the video - Episode 1: The True History of Chemotherapy & the Pharmaceutical Monopoly. Persecution of Innovative Therapies. - Politics in Healing: The Suppression and Manipulation of American Medicine. The Color of Truth – Kate Baldwin, M.D. See Also: 'The Politics of Medicine and the Nature of Health' in The Rife Handbook of Frequency Therapy and Holistic Health . This includes facts and fallacies about clinical trials; preventable deaths; how drugs are marketed and publicized; the relationships between the pharmaceutical Industry and the United States Government, government officials, and universities; how drugs are approved; drugs in our drinking water and antibiotics in our food; and effects of psychotropic drugs on children. One of the difficulties in writing about wellness and prevention is that our health-care system — in fact, our whole society — is focused on disease. Television shows like House M.D. and ER show dramatic, extreme examples of patients with life-threatening problems. Wellness care just isn’t that dramatic. I doubt there will ever be a TV drama about the chiropractic patient who didn’t need back surgery because of his care, and also didn’t get an ulcer because he was able to stop taking his ibuprofen. Or about the acupuncturist who saved a patient from a hysterectomy because the treatment balanced her hormones naturally. True wellness and prevention restore health and function without serious side effects, or causing other health problems. When a person’s overall health is restored, seemingly unrelated conditions may resolve. Discussion of the current delivery of medicine, chronic illnesses in children, and the myriad issues with vaccines and prescription drugs. And more. Prescription Drug Deaths Increase Dramatically. Prescription Narcotics Overdoses Kill More Than Heroin and Cocaine Combined. Pfizer Gives Details on Payments to Doctors. Pfizer, the world’s largest drug maker, said Wednesday that it paid about $20 million to 4,500 doctors and other medical professionals for consulting and speaking on its behalf in the last six months of 2009. Pfizer also paid $15.3 million to 250 academic medical centers and other research groups for clinical trials in the same period. Database on Doctors and Patients Aids Drug Company Targeted Marketing. In the old days, sales representatives from drug companies would chat up local pharmacists to learn what drugs doctors were prescribing. Now such shoulder-rubbing is becoming a quaint memory — thanks to vast databases of patient and doctor information being used by pharmaceutical companies to market drugs. David Anderson, a professor of biology at the California Institute of Technology compares drugs’ effects to a sloppy oil change. If you dump a gallon of oil over your car’s engine, some of it will dribble into the right place, but a lot of it will end up doing more harm than good. Commentator Bill Maher wryly discuss our society's over-dependence upon drugs while ignoring the profound health benefits of diet, exercise, and preventative medicine. The future of the chiropractic profession changed on Aug. 27, 1987, when federal court judge Susan Getzendanner found the American Medical Association (AMA) guilty of conspiring to destroy chiropractic.